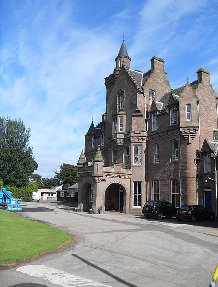 Following on the success of the previous years we were fortunate to again obtain Brotherton Castle (home of Lathallan School) as the host venue (see pictures above). This is situated on the coast at Johnshaven, between Montrose and Stonehaven. This would be a 40 min drive from Dundee and about 2.5 h from either Glasgow or Edinburgh. As can be seen at the website (www.lathallan.org.uk) the venue is situated in 62 acres of private grounds and makes a really special setting for any event, but particularly chess. 1. Result of a game between them in the tournament proper. 2. If the players did not meet or the individual game was drawn then a reduced-time play-off will take place (ungraded). If the players had drawn their individual encounter then colours will be reversed. If they had not met then colours will be assigned to best equalise the number of Blacks and Whites. Failing that, colour will be decided on the toss of a coin. 3. If the first play-off is drawn then a further-reduced time game will take place with colours reversed. This format will continue until a winner is decided. 1. Individual results between themselves in the event proper (effectively a mini-league). 2. If this fails to resolve the winner(s) then a reduced-time play-off will take place (ungraded) with colours reversed from their individual encounter in the event proper. Else colours will be decided to best equalise the number of Blacks and Whites. Failing that, colour will be decided on the toss of a coin. 3. If the first play-off fails to resolve the order of the winner(s) then a further-reduced time game(s) will take place with colours reversed. This format will continue until a winner(s) is decided. 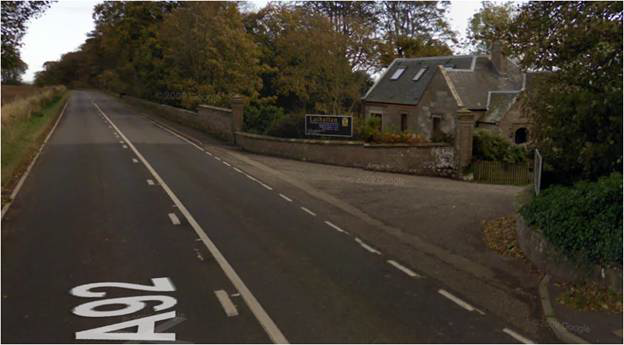 Follow A90 to B9120 near Laurencekirk in Aberdeenshire. Turn right at Lathallan School Sign. Follow drive to Castle. Turn left at Lathallan School Sign. Follow drive to Castle. The nearest station from the south is Montrose. From the North, Stonehaven is the nearest station. The Open and P5 and under sections of the Championships were played as an all-play-all and were keenly contested by the girls throughout the day. The Primary event was played over 5 rounds. Once again the closeness of some of the competitions was such that some results had to be determined by tie-breaks. Further details to follow. In the P5 and under, Sophie Heron secured the title outright with a perfect score of 7 out of 7. The P7 and under section was won by Nivedita Suyal, again with a perfect score of 5 out of 5. Rachel Lorna Smith retained her title as Scottish Girl’s Champion for the third consecutive year, with a score of 4 out of 5. Another hugely enjoyable day of chess, ending with the presentation of trophies and the crowning of three champions. Congratulations to all of them. Thanks to all who participated and for the various helpers. Thanks once again to Lathallan School for their generous access to their facilities and providing the free coffee, tea and home-bakes. The event was held on Saturday 9th March 2019. There are 3 main events, the Open (Secondary), played under Allegro rules (Bronstein), Primary 6 & 7 and P5 and Under. Both Primary events will be played under main list grading. For the Scottish Girls Championships there is a single winner in each section. If necessary the following tie-breaks are used to ensure an outright winner. Last year, both WFM Joy Durno and the U12 National Coach Richard Jennings coached entrants between rounds. As usual the coaching was keenly attended. Support was also provided by John Shovlin. The three sections of the Championships (P5 and under, P7 and under and Open) were each played as an all-play-all and were keenly contested by the girls throughout the day. Such was the closeness of the competitions that some results in all three competitions had to be determined by tie-breaks. Exciting stuff! In the P5 and under, Alina Tang secured the title outright with a perfect score of 5 out of 5. The P7 and under section was won by Florence Wilson with a score of 4 out of 5 based on individual results. Rachel Lorna Smith retained her title as Scottish Girl’s Champion with a score of 4 out of 5. A hugely enjoyable day of chess, ended with the presentation of trophies and the crowning of three new champions, who received their awards from WFM Joy Durno and U12 National Coach Richard Jennings.